We all know the old adage that one should not put all your eggs in one basket. Why? Because if you drop that one basket, all the eggs break. In the investment world, we call this diversification – often referred to as the only free lunch available. 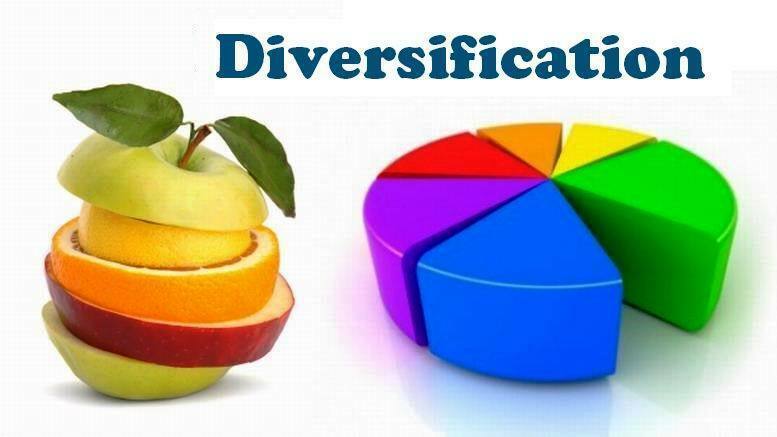 Diversification is one of the best ways to reduce risk in your investment portfolio but there are a few common mistakes to avoid. Here is a systematic approach to go about it. A good spread of currency and economic exposure is essential in building a robust long-term portfolio. Limiting yourself geographically will heighten the sensitivity of your portfolio to risk and volatility that affects a particular part of the world. So if all your investments are based in South Africa, you essentially have all your eggs in the South Africa basket. Ideally, your portfolio should include exposure to other countries and currencies and this can be achieved by investing directly offshore or using rand denominated offshore funds. Your asset class allocation is a major determinant of your future returns (and the volatility along the way). The basic building blocks are equities, fixed income and cash, and you should aim for an optimum mix which will give enough growth (equities in the long run) and enough stability and yield (cash and fixed income) to match your time horizon and needs. Tactical changes may be useful from time to time, but a strategic long-term allocation (with some methodical rebalancing over time to stick to the long-term plan) goes far when just left to do its work. Within the equity portion of your portfolio, you should aim for a good spread of industries. If you only invest in gold or property, this can increase your concentration risk. The safe-haven status of both these asset classes has been tested more than once. The dollar gold price fell almost 40% following a high in 2013, and South African listed property dropped 30% from its late 2017 peak. The growth of ETFs and passive investments may be compounding concentration risk by indiscriminately buying the stocks with the largest weight. The increase in demand for these stocks pushes the price up and in turn, increases the representation of the stocks in the index. Passive managers are often quick to highlight that only a relatively small percentage of active managers consistently outperform their benchmark indices. What is not mentioned, and which is highly relevant in the South African context, is that active managers might be taking less risk, especially concentration risk. In addition, the choice of which index to invest in is far from a passive one. When it comes to equities, a minimum number of instruments and a maximum percentage per instrument will help to diversify away from share specific risk. In the same vein, within the fixed income and cash portion, there should be a spread of banks and instruments. If you only own a handful of stocks or are exposed to very few counter-parties, this will increase your risks. Sticking with one capable manager for the long term can be a very good strategy. However, if the manager stays true to one style, it is likely that there will be periods where the approach works better than at other times. Therefore, it is useful to combine managers with different styles. For example, combining a value manager with a momentum or growth manager, or a passive solution with an active manager, can mean that when a particular style is out of favour, your portfolio should be more resilient. Building a well-diversified portfolio that suits your individual risks and requirements is no easy feat. The reality of investing is that we are dealing with an assessment of an uncertain future within an uncertain environment. A broad perspective is needed and a professional adviser can help you construct a portfolio with the right mix of investments to meet your goals while managing your risks.